The system includes its own y-pipe using 3″ piping coming out of each down pipe outlet merging into the single 4″ pipe. 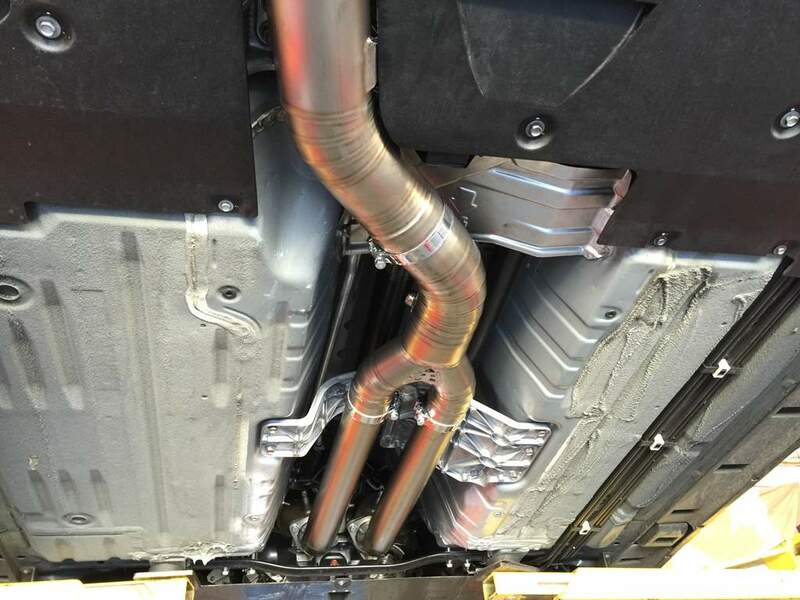 The quality and fitment of the Tomei system is spectacular. 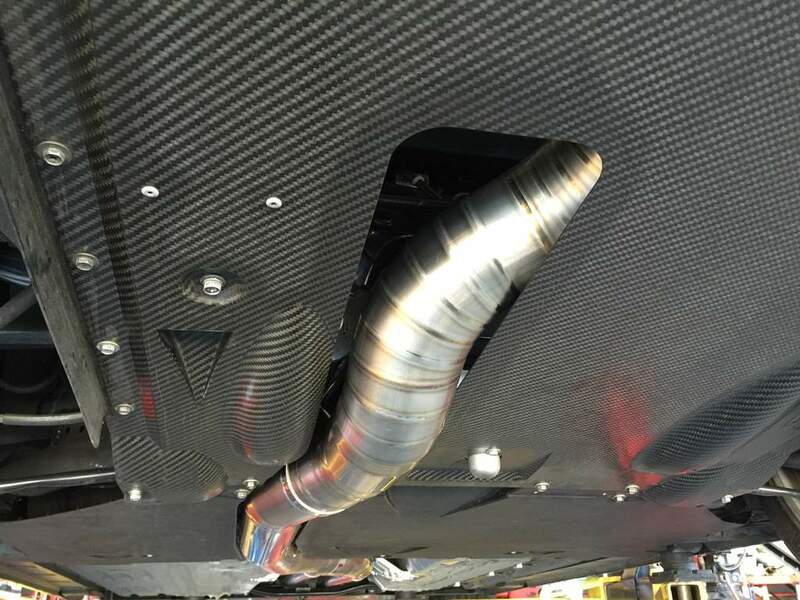 Nothing had to be cut or hacked up to make the fitment of the 4″ piping go through the diffusers. 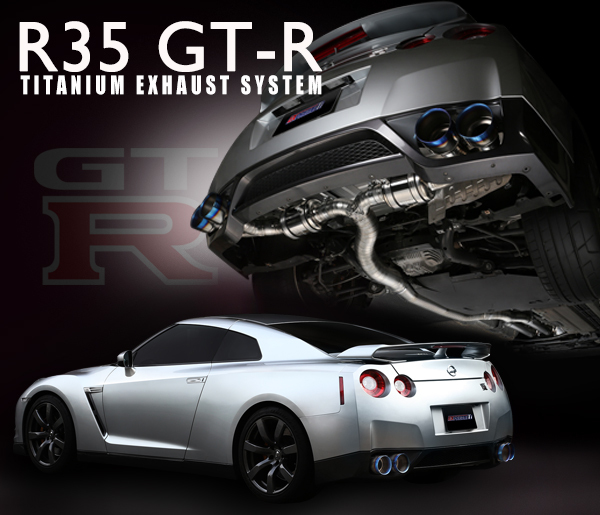 Considering the system is made of titanium the MSRP of $3600 is a steal! The weight savings over a conventional SS system is amazing. 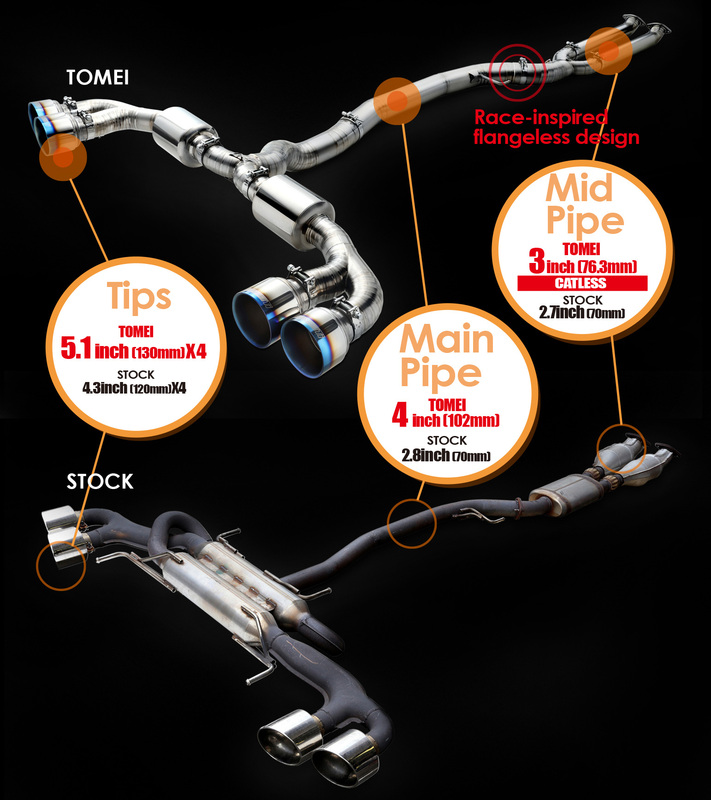 Tomei says its a 35 lb savings over the factory pieces with the Tomei system weighing in at 32 lbs which includes the y-pipe. Y-pipe dual 3″ from the down pipes into the massive 4″ sewer pipe. The system snakes its way perfectly through the diffusers without any problems. No trimming, no modifying. The welds on the titanium are beautiful for a mass produced system. 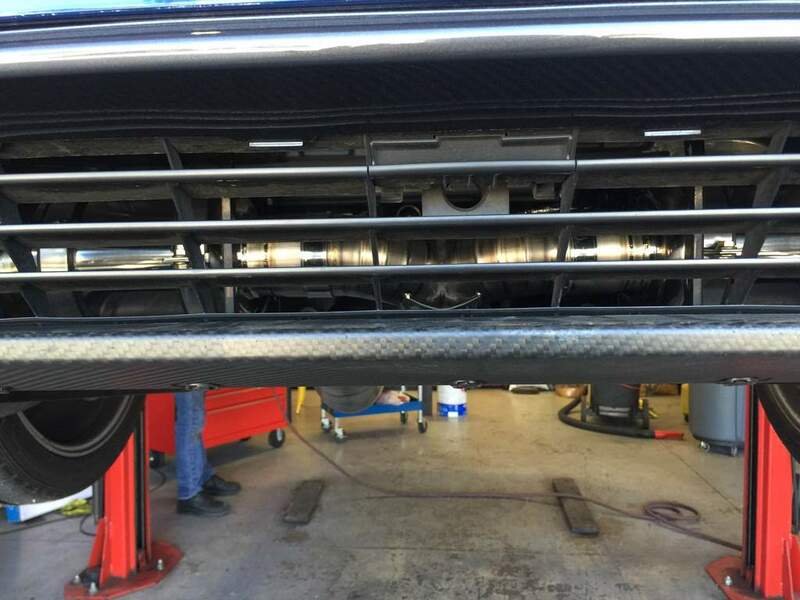 The view from right above the carbon diffuser. Everything exits out the huge 5.1″ tips. Dyno test before and after done within a few hours of each other. 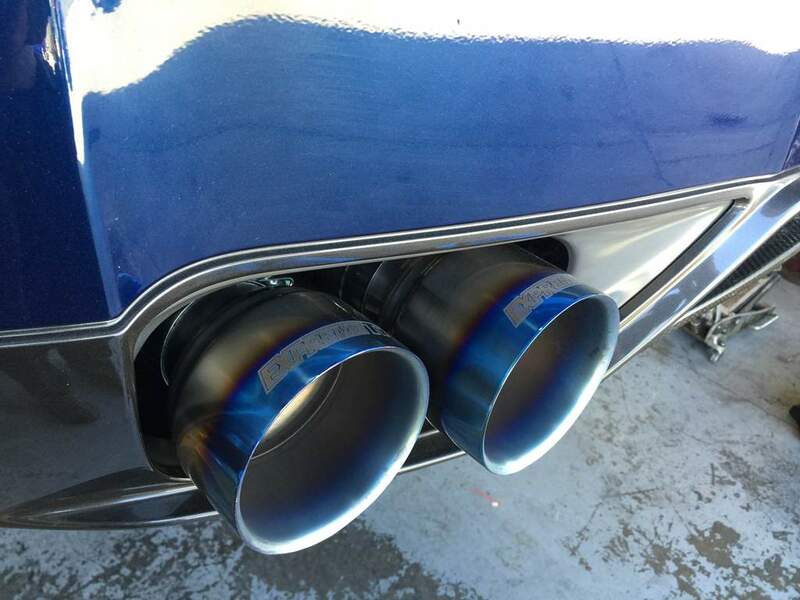 Blue is the old exhaust setup and red is the after with the Tomei system. The largest gains were below 4500 RPMs. 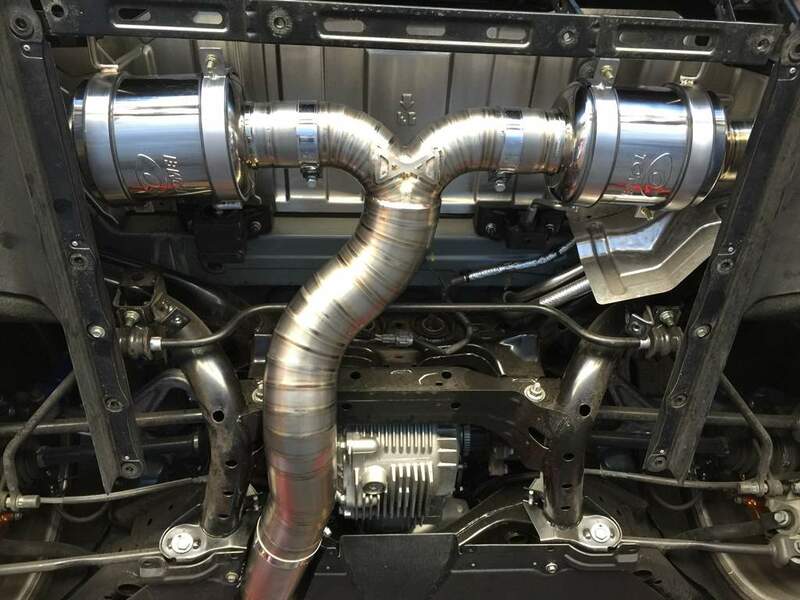 At 4k we gained 60 torque and 46 whp. You can see the boost pressure go up due to the exhaust change. We expected to see larger gains at the top than we did but we won’t complain about 20-25 whp gains.